Swami Sanand thinks the present idea of development is an enemy of the environment and doesn't think the Ganga can be saved unless the task is given to people who are sensitive towards it. Matri Sadan, on the banks of river Ganga, is no ordinary ashram in Haridwar and Swami Gyan Swaroop Sanand, fasting since June 22, 2018, demanding a law for conservation of the Ganga, is no ordinary sadhu. 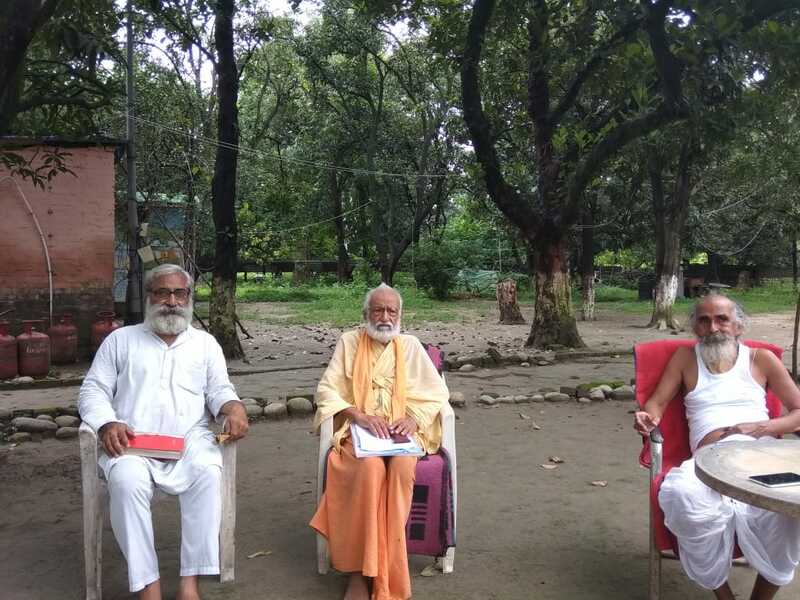 Earlier, Swami Shivanand, head priest of the ashram, and his disciples Nigmanand, Dayanand, Yajnanand and Purnanand observed long fasts to prevent illegal mining around the Ganga in Haridwar. Nigmanand died on the 115th day of his fast in 2011 after he was poisoned with organophosphate while in hospital during the Bharatiya Janata Party regime in Uttarakhand. His followers blamed a mining baron associated with Rashtriya Swayamsewak Sangh, but the matter was never investigated properly. Now Swami Gyan Swaroop Sanand, formerly known as Professor Guru Das Agrawal, is on a fast and appears committed to laying down his life for the sake of the Ganga. He says his well-wishers should worry more about the health of the river than his health. Swami Sanand thinks that it is too late now to redeem the situation. He is critical of the Swachh Bharat Abhiyan. He doesn’t think that a few people picking up brooms can clean local areas. The pollution is a result of flawed developmental policies. A pro-ecology development policy is necessary for sustainable development. But the Narendra Modi government has not even uttered the phrase ‘sustainable development’ once in its 4.5-year regime. He expressed astonishment that Nitin Gadkari can hold the ministries of road transport and highways, shipping, and water resources, river development and Ganga rejuvenation at the same time. Recently, the Uttarakhand government has taken a decision to construct a road though the Jim Corbett National Park, posing a threat to the forest and wildlife. The government has also undertaken an ambitious all-weather Char Dham road project connecting Kedarnath, Badrinath, Gangotri and Yamunotri at an estimated cost of Rs 12,000 crore. Swami Sanand thinks this is a disastrous project as it will involve cutting a large number of trees, and create instability by cutting hilly slopes, the muck of which will come down in the rivers. Swami Sanand thinks the present idea of development is an enemy of the environment and doesn’t think the Ganga can be saved unless the task is given to people who are sensitive towards it. 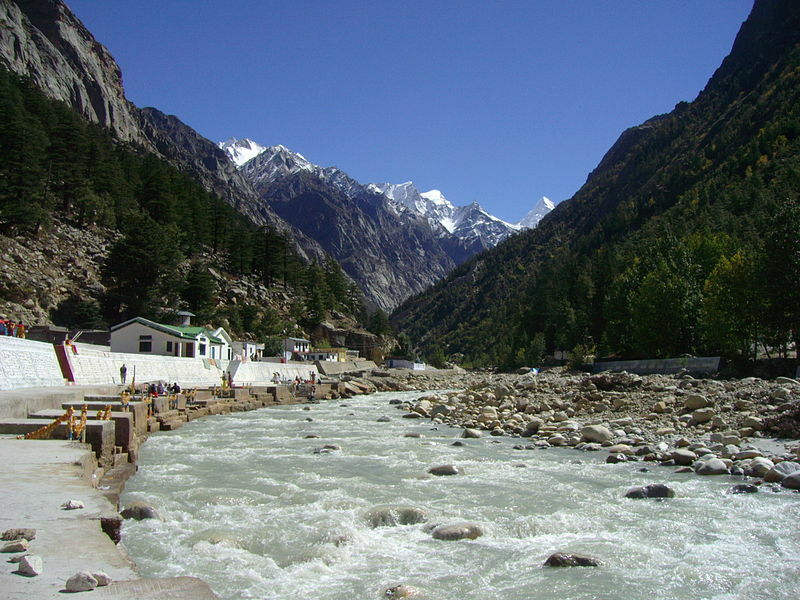 On August 20, 2018, the Uttarakhand high court ordered the state government to ensure that no untreated sewage be dumped in the Ganga. As against the installed capacity of 45 millions litres per day sewage treatment plant (STP) in Haridwar, about double the amount flows into the Ganga untreated. Swami Sanand asks, what were the Pollution Control Board and National Green Tribunal doing till now? He also raises a question on how these sewage flows are measured. Most likely it is not the maximum flow. It is the flow on the particular day when it was measured. Sometimes the flow estimate may be derived as multiplication of population, with an assumption of 50 litres per person per day sewage generated. As an example of bad planning, he points out that the pumping station at the Assi drain in Varanasi pumps the sewage upstream to the 35-MLD-capacity STP in Ramana. What is the logic of pumping sewage upstream? He also recalled the incident when the environment minister in the United Progressive Alliance government, Saifuddin Soz, visited the Rajendra Prasad ghat sewage pumping station in Varanasi to be told that it had not been functioning for a month and a half. With such a callous attitude, he is not sure how the Ganga can be made clean. He feels that the commitment as well as competence to even operate STPs is missing. North India has no good consultants in this area. Nitin Gandkari, in his letter requesting Swami Sanand to end his fast, has mentioned that in Kanpur 80 MLD sewage out of 140 MLD flowing through Seesamau drain is now being diverted to the Bingawan STP. Swami Sanand questions why a STP capacity of only 80 MLD was created? When the city was expanding, a higher STP capacity should have been planned. But the approach of the government is to build whatever capacity can be created from the available funds. The nature of planning is ad hoc. Swami Sanand is also quite critical of activities like the kawanriya yatras and Ram Kathas in the name of religion and culture, which create more pollution. He gave the example of how people treat kanwariyas with chole-bhature and other eatables from roadside stalls, and waste including plastic is thrown around. Morari Bapu delivered a Ram Katha at Gangotri Dham, Uttarkashi from August 18 to 26, 2018. Swami Sanand questioned the wisdom of conducting Ram Katha at this location, as it would have put additional burden on local ecology. 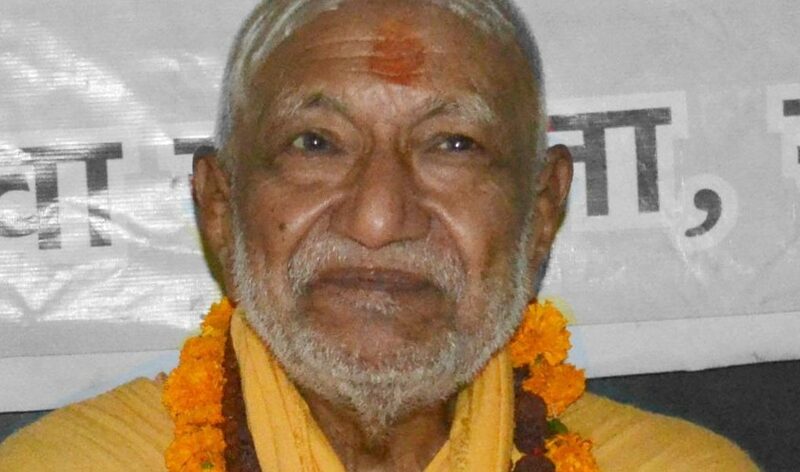 Swami Sanand went on a fast from June 13 to 30, 2008, January 14 to February 20, 2009 and July 20 to August 23, 2010 against three hydroelectric projects Bhairon Ghati, Lohari Nagpala and Pala Maneri, and was able to stall them all even though the tunnel in Lohari Nagpala was complete and got the government to declare 125 km of the Bhagirathi as an eco-sensitive zone. His fourth fast was from January 14 to April 16, 2012 in stages – on fruits in Allahabad, lemon water in Haridwar and without water in Varanasi, after which he had to be admitted in the All India Institute of Medical Sciences, Delhi. In 2013 he fasted from June 13 to October 13, in which he spent 15 days in jail. President of Ganga Sabha, Jitrendranand, delivered a letter to him from the then BJP president Rajnath Singh, commenting that when the Narendra Modi government came to power it would accept all his demands related to the Ganga. However, the Modi government has been a big let-down. Swami Sanand feels the Manmohan Singh-Jairam Ramesh-Jayanthi Natarajan team was more sensitive than Narendra Modi-Nitin Gadkari-Uma Bharti towards caring about Ganga. He has special praise for Jairam Ramesh, who cancelled the Ganga Master Plan that was being drawn up by foreign experts and gave the task to a consortium of Indian Institutes of Technology. Swami Sanand wrote a letter to Nitin Gadkari on July 4 and to the prime minister on August 5, 2018. But there has been no reply from either. He is disappointed with the government as well as civil society, including the IIT consortium, and therefore has put his life at stake. Are we going to let this seer simply die fasting? 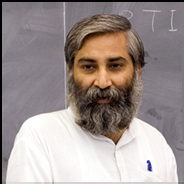 Sandeep Pandey is a scientist and activist and Magsaysay Award winner.